While vacationing, visiting family in coastal New Jersey (nicer than it sounds), I spent some time on the beach. 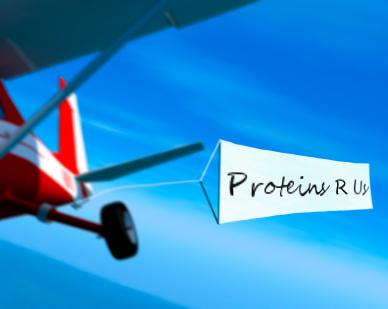 A plane with a trailing banner flew by, advertising a product I still don’t remember. Ever the marketer, and never being the type who likes to zone out for hours on the beach, I started to think about this flavor of ‘broadcast’ advertising. The problems are multi-fold: 1. I didn’t have any clue what the product was 2. I had no idea how to follow up to learn more 3. Even if I did have a ‘burning desire’ to find out, I certainly forgot the name of the product by the time I got to the internet (ignore the fact that I had my blackberry and could have looked it up). What’s interesting is that this company probably paid $1-3K for this promotion (maybe more, as I learned that flying a plane with a banner is quite an art). What did they get in return? I’m sure they don’t even know–hard to determine a return on investment (ROI) on a media has no way of tracking. Instead, I think they should have hired college students to visit 4-5 beaches, and hand out free samples and chat the beachgoers up. Now THAT I would have remembered, and they also would have gotten feedback on peoples’ reactions to the product. Relevance to life sciences? If you’re like me, you ‘cut your teeth’ on this type of ‘broadcast’ advertising, mostly print Ads (although it would be cool to rent a plane). Even some online banner Ads and e-mail blasts can be forms of broadcast advertising (banner blindness is a well-known phenomenon where users learn to ignore such information). You got used to putting your message ‘out there’ without expecting many metrics and feedback. Now, however, there are myriad ways to promote your products in an engaging manner AND to get metrics that can be used to determine ROI and the next tactical (or even strategic) steps. Examples? Set up Google Adwords, targeting those who are looking for your product, and learn what people are searching for. Start a blog or forum on your website, forming an interactive community that cares about your products and tells you want their needs are. Make sure your newsletter is about customer needs, and not just a listing of your products. These are just some ideas–by being resourceful, and ruthless about ROI, you’ll surely come up with more. Should you abandon broadcast advertising? No, it has a place in your tactical marketing plan, reinforcing your brand. But, it is easy to fall into the ‘same old, same old’ and to rely on it too heavily. Contact us for a free consultation to learn how to get started engaging more and broadcasting less. Where down the Jersey Shore were you? Just curious since I’m a Jersey Girl. :) Also, if memory serves me correctly, the flying banner ads were usually for: beer, a radio station, or a bar/club.